Choosing a preschool for your toddler is a huge decision. There are a many different options available and you want to make sure you pick the best environment for your child to thrive and grow as they develop and get ready for their future! When you go in to visit a preschool, you want to be prepared with questions to ask that may not be obvious at the very beginning besides just location, costs and hours. At Pine Village Preschool, we love helping parents figure out the best place for their child, so we’ve put together a few essential questions to ask when you are choosing your child’s preschool. What is the educational philosophy of the preschool? Do they follow a particular methodology or pedagogy? It is important to understand how a preschool approaches early childhood learning. Does it align with your values as parents? Does the school advocate strict learning practices or a play-based environment? 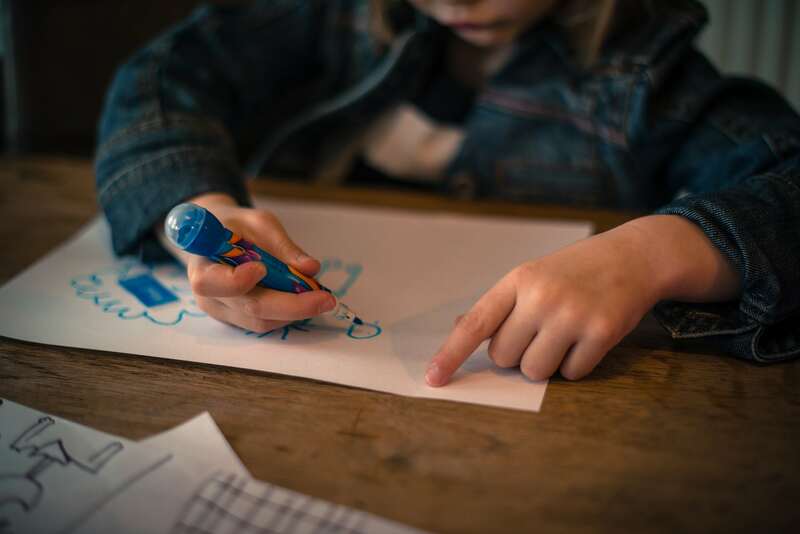 Its important to understand their approach so that you can be sure your child will feel comfortable in their new environment, so that learning and growth can happen in a developmentally appropriate way. How often do the children go outside? Is there an onsite playground? Where do they go if there is not one available? Gross motor activities are crucial for young children. Children should have opportunities to run, jump and climb every day for at least an hour in the morning an hour every afternoon. Fresh air and sunshine and outdoor exploration are essential for happy healthy children. If the children travel to a playground offsite, be sure to ask about how they get there, how long they stay and if they provide water for the children. You need to feel confident that your children are in a safe environment and that the playground is appropriate for young children. What is the health care policy for sick children? What is their definition of a sick child? When are they permitted to return to school? Does the school send sick children home? How do they provide for a healthy environment? Make sure that you understand these expectations up front so that you’re not surprised when this issue arises in the future. How do the teachers handle discipline in the classrooms? Its important to understand how your child we be guided through their social and emotional development. These lessons are the ones that will stick with them for years to come. Its vital that you understand how the teachers will support your child if he or she is having a rough time. How do they deal with aggressive children? How do they handle conflicts in the classroom? Does the school follow a specific program? DO they use Time Out? Do their practices align with ours at home. Its important that you are all on the same page with respect to guidance and discipline. Is there open communication between parents and teachers? Do they hold annual Parent Conferences? You will want to feel comfortable with the level of communication. Do you want daily notes or a weekly newsletter? Do you want to see photos of your child throughout the day? Do you want to know what your child accomplished each day in detail? Its important to understand their policies on communication and be sure that you are comfortable with how and when you will hear from your teachers. All teachers should hold certificates from the Department of Early Education and Care. Ask if there are lead teachers in each classroom. Inquire if some teachers hold higher degrees and how the program supports professional development. Understanding the level of importance the program puts on teacher credentials and professional development will give you a good idea of the level of professionalism and quality programing your child will receive. We are always available to talk more about choosing the best preschool for your child. Contact us today! Our oldest will be attending preschool next year, and we want to make sure that he is going to be attending a good school for him. I like how you pointed out that one thing we need to do is ask potential ones about their educational philosophy. It will be good to know that we are taking him to a place where he feels comfortable and will be able to grow. I like that you talk about how important it is to consider how the teachers will handle discipline. It makes sense that you’d want to choose a teacher that has discipline measures in place but that isn’t too strict. Thanks for the post; my child will go to preschool soon and think that this advice will really help me and my wife decide. I’m glad you suggested going to visit the preschool in person to determine things like how they take care of sick kids or what they do if a child isn’t feeling well. I’ve been looking for a place to send my son, and he’s very sensitive to viruses and sicknesses other kids carry. I can see how taking the time to visit the organization would be a good way to decide if the preschool would be a good fit for your child and his or her needs. We’re hoping to find a preschool for my daughter next year. I hadn’t thought to ask them about their health policies. I also think it’s good to know how the teacher who will be with your child handles conflicts. It’s always best if you can find a place that has similar ideologies to the ones you use at home.